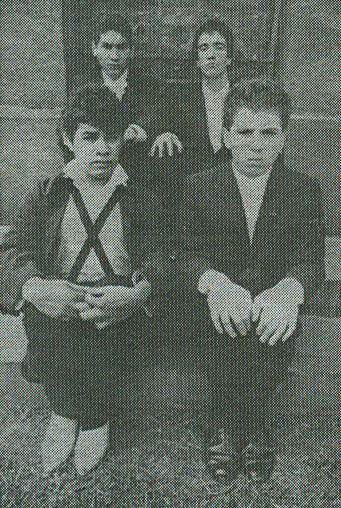 THEE UNDERTAKERS ,from East Los Angeles, first started practicing during mid-1977. They decided early on not to go for the "leather or New Wave look" and would instead wear black suits on stage to emulate their namesake. By 1978 they found Art, who became their singer. 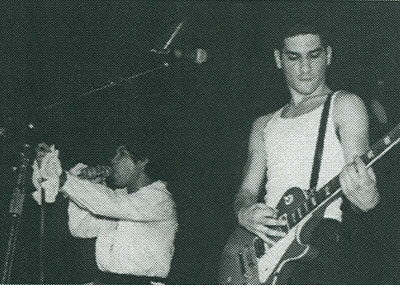 In 1979, the band hooked up with Willie Heron, from LOS ILLEGALS, who helped the band get on many bills at the Vex and other East L.A. clubs that would host punk shows. The band played heavily during 1979 through 1982 and played at clubs like the Vex, Starwood, Hong Kong Cafe, and the Whiskey to name a few. The band opened for many bands including D.O.A., ALLEYCATS, PLUGZ, GEARS, FLEASHEATERS, SUBURBAN LAWNS, and others. Thee Undertakers recorded their first demo in 1980 and returned to the studio in 1981 to record what was to be their first LP. The band was going to have their LP released through Tito Larriva's Fatima Records label (who released PLUGZ LP and THE BRAT EP), but after a falling out between Tito and the band, the record never materialized and sat in the can for twenty years. In 2001, Grand Theft Audio released their awesome collection of studio recordings from 1980-81 (get it!). Artifix Records release contains previously unreleased vintage material from this amazing band. Our EP features live tracks recorded at the Hong Kong Cafe in 1980, and some studio demos that made up their last recordings from 1982. 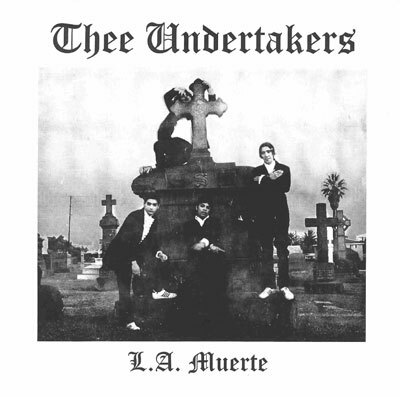 Thee Undertakers from 1977-1982 were: Art Reyes (vocals), Tracy Lee (Skull) Garcia (bass), Tony (Fingers) Naranjo (guitar), and Mike Chaidez (drums).